For thick hair, high and low ponytails, double braids, bouncy buns and knots, chic chignons, loose set ups, messy movements and volume curls, tossed and textured tangles. For a super smooth wet look and extensions. For all styling that demands solid and long lasting stability. 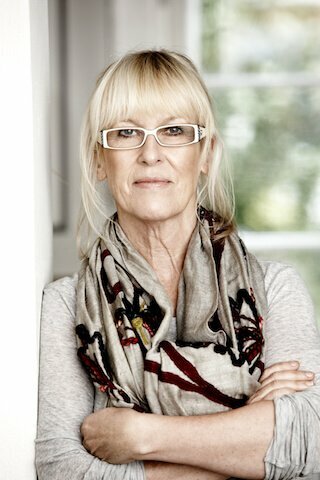 I have worked with and written about beauty in Scandianvia and Europe since I left the University of Journalism in Gothenburg ages ago. I have tested thousands of products from everyday necessities to the fabulously glamorous. 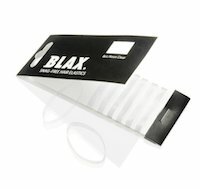 Every now and then I have come across a product with unique qualities – like BLAX. Since the day I got the first package from my Danish hairdresser I have used nothing else. I started importing BLAX and became the sole distributor for Nordic countries. Today i am also an European distributor. For my fine hair BLAX are a blessing! When removed they glide off without pulling a single strand of my precious hair. 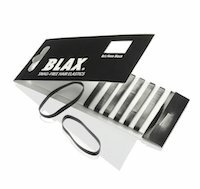 I do declare, BLAX are the best hair elastic in the world. BLAX orginate from Japan and are made of superstrong, reusable polyurethane in one single piece without metal joints or "seams". 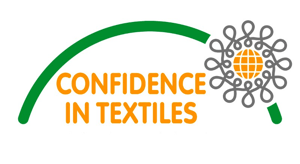 BLAX are certfied by Oeko-Tex Standard 100 Class - one of the most severe product tests methods in the world. BLAX are moreover approved by the Japanese Health and Welfare. BLAX come in a paper package, 18pt CIS Cover with SFI and PEFC certificate. The ink is soyabased and the AQ (the matt surface) is waterbased. All together these factors create an extremely low VOC (indicator of effect on surroundings). The lower VOC the healthier and more environmentally friendly the product is. BLAX colour pigments, like PINK and OCEAN, are the same dyes used by one of the world's leading doll producers. BLAX stay exactly where you put them for the whole day. When removed, they glide off without tugging or tangling or pulling your hair. BLAX don’t hurt when you lie or sleep in them and they don’t harm your hair. BLAX star qualities make them ideal for toddlers and people with sensitive hair. 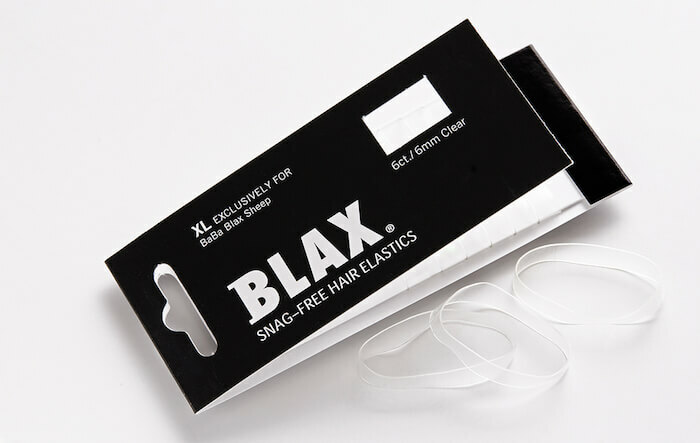 BLAX hair elastics started as a must have among professionals in US and Europe. Mention BLAX and every trendy hair creator, salon and stylist knew the tool. 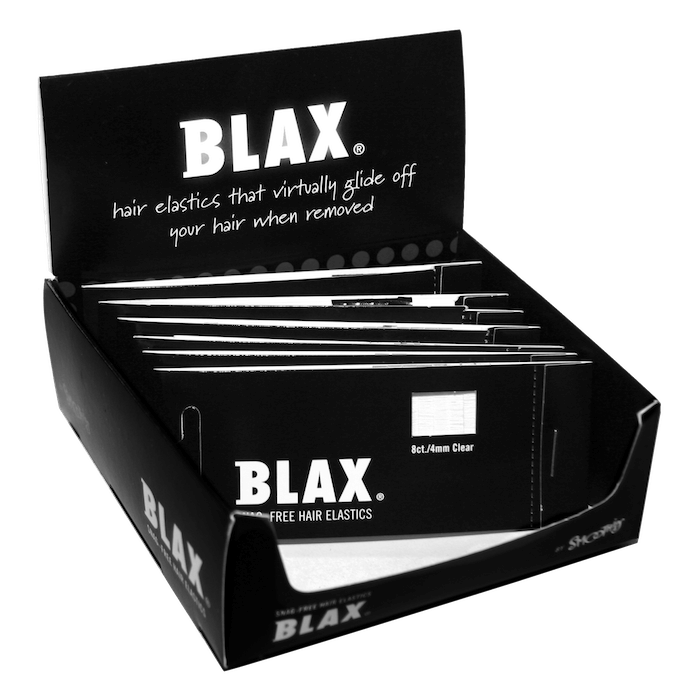 2009 BLAX was introduced in Scandinavia and since then, in this part of the world, over half a million packages are sold from hair salons, webshops, cliniques and boutiques. And now BLAX XL, specially made for BaBa Blax Sheep, is launched. 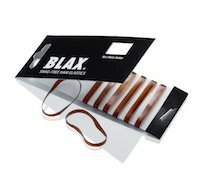 BLAX hair elastics has been highly praised and received lots of write-ups in Scandinavian beauty press and blogs. 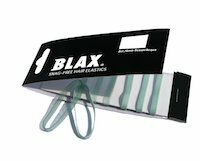 BLAX hair elastics don't look like much but once you have tried them, you will use nothing else. 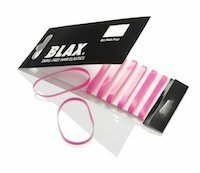 BLAX - the original - has become the ultimate hair accessory for girls of all ages with just enough hair to pull back.